SNOW STORMS - HURRICANES - TORNADOES, ETC. September is Emergency Preparedness Month. Disasters Happen--Prepare Ahead. 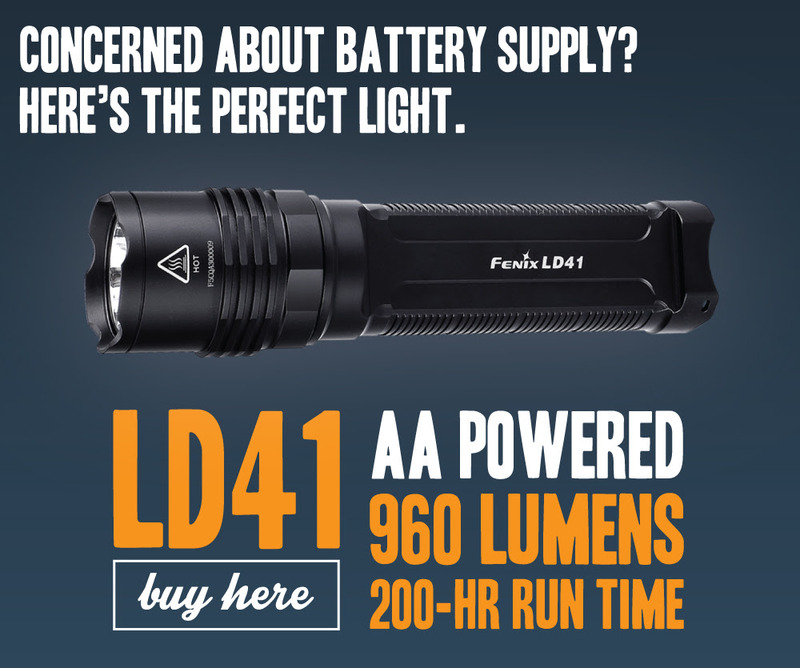 Now is a good time to review FEMA's "Build a Kit" list, which includes a flashlight, spare batteries, and an emergency whistle. We have you covered! Our focus this week is on our lanterns. 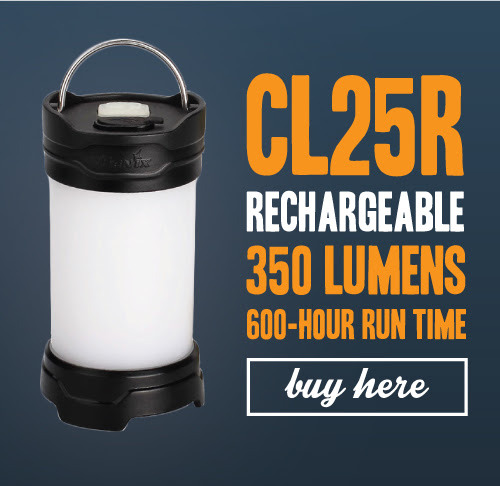 Yes, they are great for camping, but really every house needs to have one of these on hand. The ability to hang, set, or attach them to a surface is genius. 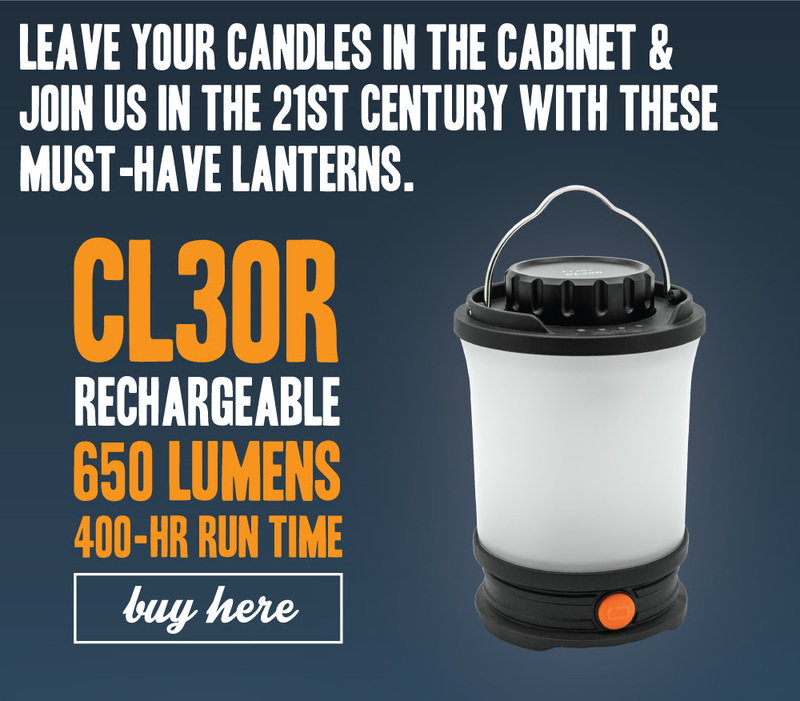 Add to that the long run times--perfect for power outages and other emergencies. 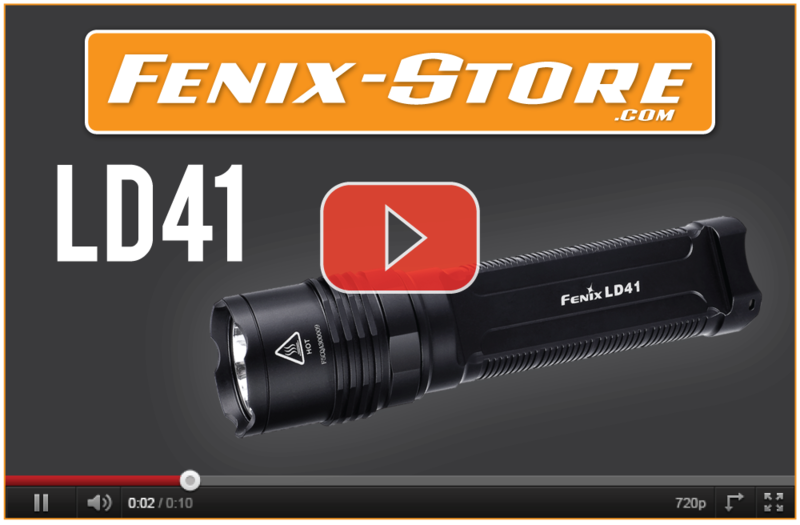 Our featured flashlight is our popular Alkaline AA-powered LD41. During an emergency, many times you don't have the ability to recharge batteries. 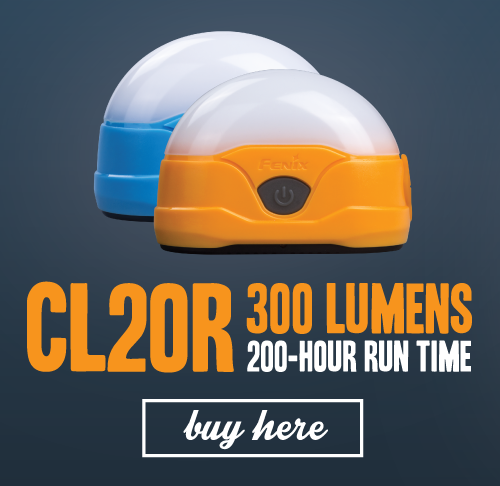 In preparing, stock up on commonly found AA batteries along with the LD41 and you'll get hours of run time. Stay safe this season! As always, we appreciate your continued business and support. 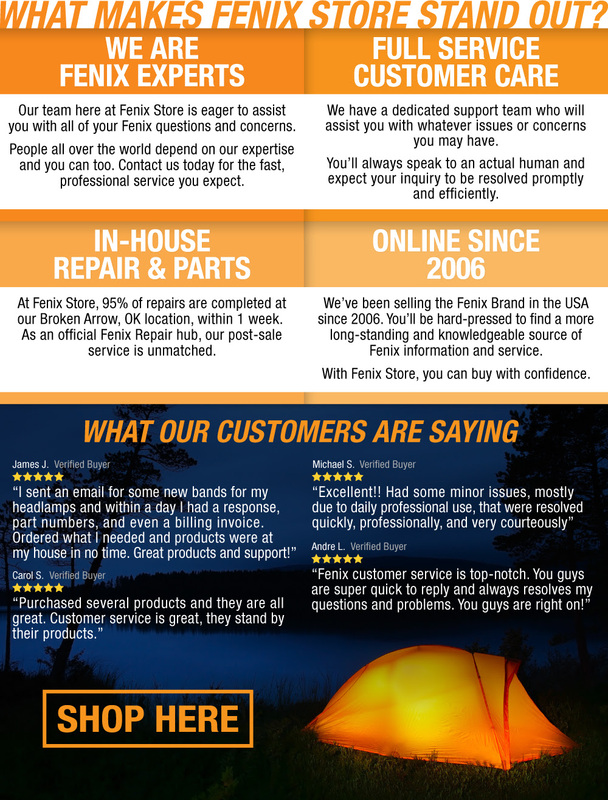 Remember, we are Fenix Experts.